So you’re starting a crowdfunding campaign for your awesome new product? Well, a great representation can make the difference between tons of money and, well, zero. In this post, we’ll show you how Sketchfab can supercharge your campaign by using our real-time 3D viewer. Sketchfab is used by some the most successful crowdfunding campaigns out there—including HEXO+ (see below), who reached their goal in 1 hour (yes, you read correctly) and then exceeded their goal by 25 times. Sketchfab has been used in 32 campaigns (at least, the ones we know about), including 3 of the top 15 most funded tech projects on Kickstarter: Lima, Structure and Hexo+. 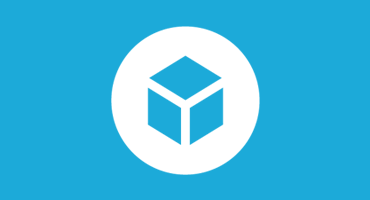 Campaigns using Sketchfab raised a total of $10m for an aggregated goal of $3.8m. Close to 3x more than anticipated. So how can Sketchfab help? Sure, photos are a great way to showcase your product or prototype. But why not go one step further? By using Sketchfab’s 3D viewer, backers get a real-life product experience without your product even being real yet. Backers can zoom, pan, rotate, and experience your product at all dimensions and angles…all in glorious 3D. Sketchfab’s viewer promotes your product with more visuals and less text. Less reading. More product engagement. More backers. Sketchfab can help you to iterate faster. By using private model sharing, a select group can be resourced for feedback. Then, once your model is ready to go public, use Sketchfab for marketing, blogs, news, and of course on your crowdfunding page. Plus, Sketchfab 3D models work everywhere. Our viewer embeds just like a youtube video, so backers never need to leave your campaign page when interacting with your model. The “donate” button is always one click away. Sketchfab is a new type of media to share. Your enthusiastic investors can share your product in 3D anywhere (just like a youtube video). The more sharing, the more exposure. With a Sketchfab 3D model, your campaign has a better chance of going viral. 3D is novel and can help get you noticed by the press or blogs. By including your Sketchfab model in press releases, journalists can showcase your 3D model in articles focused on your product…just as easily as you did on your campaign page. A crowdfunding campaign unites a community around your product. By using Sketchfab’s technology, you’re joining forces with passionate makers. More than 100,000 users on Sketchfab, in a strong community of 3D enthusiasts. Tons of Sketchfab’s users are makers and hardware enthusiasts. Just another channel of potential backers for your product. Need help from a 3D expert? Sketchfab can help you network with the best 3D modelers and make the most of your design strategy. Learn to embed on Kickstarter or Indiegogo. Launching a campaign on Indiegogo? Check out our partner page. Email us: hello@sketchfab.com. We’d love to help. A well-designed 3D model can help your campaign succeed. Our innovation will showcase your model and get your project noticed. Good luck with your project!